Critical business data comes in different forms. It’s financials and customer lists that likely come to mind, but other can’t lose data are the individual customer notes and history, daily invoices and credit card numbers. How you store and manage this data requires some thought and if you “Do it like you’ve always done it”, you could be flirting with disaster. The case for the cloud Some years ago, the technology industry coined the term “cloud.” This is a widely understood term with tech gurus, but it leaves others in our industry scratching their head trying to figure out how this mbiguous term relates to their plumbing business. Admittedly, it’s a word that communicates vagueness, insecurity and danger. The reality is, nothing could be further from the truth. In the 1990’s through mid 2000’s most software was run on individual host machines in your office. You may remember trekking to Office Depot every year to purchase the latest version of QuickBooks or Microsoft Office. We reluctantly plunked down our $400 and cursed Bill Gates all the way to the parking lot. Once installed on your computer, you were on your own. Losing your data due to server meltdown, hard drive crashes and acts of God were all a real possibility. If something happened to your computer and your data was lost, you were out of luck. As you are all too aware, technology moves at a blistering pace. Things are much different now. Eventually, software companies figured out that using a subscription model was better for everyone. For roughly the same cost as before, you could have access to always the most current version of the software you need and without the security concerns. Instead, the burden of offering a stable platform fell on the software providers. Today, they store data in large fortress like buildings with no windows and 24/7 security. As is the industry standard, these data centers are in business to guarantee nearly 100% uptime with no interruptions. In case of power outages, they have banks of batteries supported by huge diesel generators that can keep power hungry servers online for months. Located on high ground, they can survive any rising water and nearly all are wind rated to survive category 5 hurricanes. Can your data be lost, stolen or hacked? This is usually the primary concern of small businesses and for good reason. While no system is perfect, you have multiple levels of authentication meaning you can restrict access to only the people that need it. You can download all of your data at any time, from any location, and even tour the actual server facility if you feel the need. Its infinitely more secure than Excel files and triplicate carbon copies. In short, it’s as safe as you can get. Every Fortune 500 company in America uses them and even the Department of Defense. So, if it’s good enough for them, is it good enough for your plumbing company? 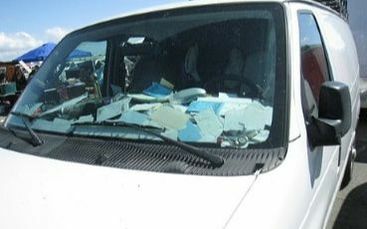 I cringe when I see repair trucks on the road with sun faded, tattered invoices and work orders on the dash of a pick-up truck or work van. I just know that although the business owner may be comfortable with their process, they are one accident from spreading sensitive customer information across the roadway. It’s just not how you run a tight business. Says Suzanne Fogleman, executive with ServiceWarrior Field Management Software.